Imagine being able to power your car partly from the heat that its engine gives off. Or what if you could get a portion of your home’s electricity from the heat that a power plant emits? Such energy-efficient scenarios may one day be possible with improvements in thermoelectric materials — which spontaneously produce electricity when one side of the material is heated. Over the last 60 years or so, scientists have studied a number of materials to characterize their thermoelectric potential, or the efficiency with which they convert heat to power. But to date, most of these materials have yielded efficiencies that are too low for any widespread practical use. 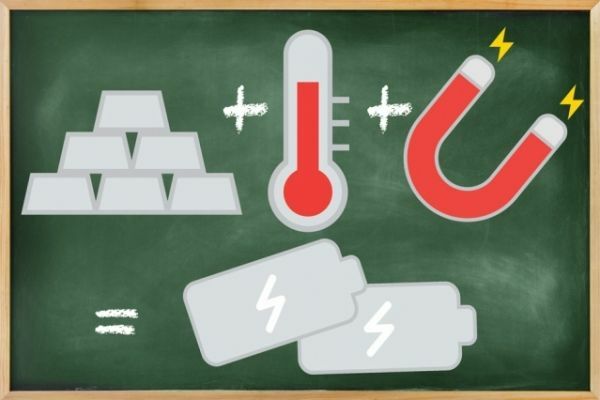 MIT physicists have now found a way to significantly boost thermoelectricity’s potential, with a theoretical method that they report today in Science Advances. The material they model with this method is five times more efficient, and could potentially generate twice the amount of energy, as the best thermoelectric materials that exist today.